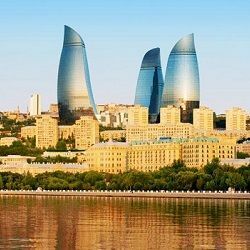 This 5-star hotel is located in the heart of Baku overlooking the F1 Paddock and Start / Finish line. A number …. 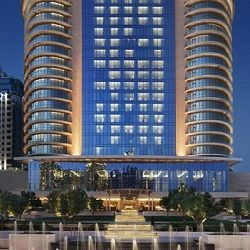 The Four Seasons Baku is an elegant 5-star hotel overlooking the Caspian Sea and Baku Old Town. It is located …. 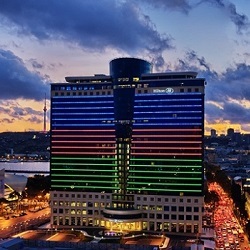 Located in Baku’s Business District, the Hilton overlooks the Paddock and Start/Finish Line. The hotel …. 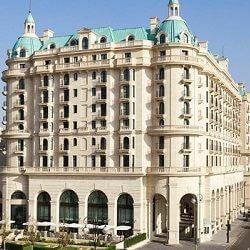 With stunning views over Baku and the Caspian Sea, the Fairmont is a 5-star luxury hotel that forms part ….